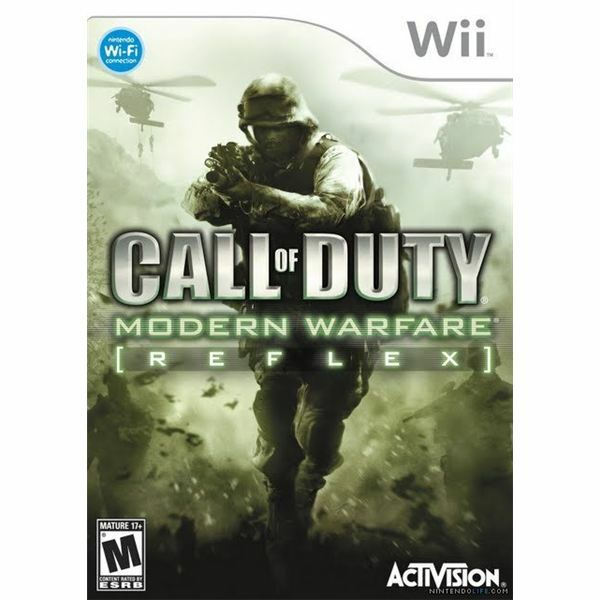 This installment of Activision’s Call of Duty game series represents one of five offerings for the Nintendo Wii console. 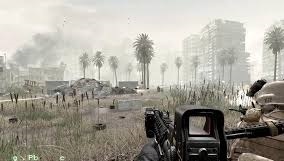 Call of Duty Modern Warfare Reflex Edition features Wi-fi online capabilities immense military combat scenarios and high level challenges using the nunchuk/remote control combination or the Wii Zapper gun peripheral, which is a bit more challenging. Players in this first person shooter help U.S. Forces and British Special Ops defeat a force of international separatists in single player mode or side by side with a friend in two player Squad mate mode. There is no friendly fire damage in this mode, so don’t worry about your partners getting in the way. Players can also call in helicopters & fighter jets for support. The intense action begins with superiors barking orders throughout the challenging tutorial. This game requires a considerable learning curve in the control scheme, which uses dozens of customizable weapons and abilities. Players aim and shoot (B) with the Wii remote while moving with the nunchuk, which also features grenades (shake the nunchuk) and a special, rechargeable whip, which can save some ammunition. The controls are smooth except when using the Wii remote directional keys to switch weapons. The 1 and 2 buttons would have worked better especially during frantic fighting. Need more challenges? Go local or online for endless action in this strongly recommended game (***1/2 out of four stars), which is rated M for blood, gore, intense violence and strong language). Similar versions available on PC, Mac, Nintendo DS, PS3 and Xbox 360. This entry was posted in Video Game Reviews and tagged Call of Duty, Michael Siebenaler, Mike Siebenaler, Nintendo, Nintendo Wii, Tall Writer, video games, Wii. Bookmark the permalink.